Lord of the Rings actor Andy Serkis revived his character Gollum from the hit fantasy film to mock British Prime Minister Theresa May as she fails to sell her Brexit withdrawal agreement to parliament and the British public. 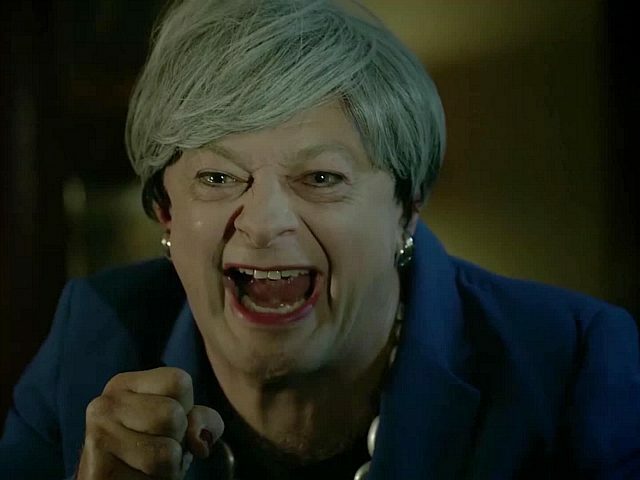 Serkis, best known for providing the voice of the ghoulish Gollum in the film trilogy of JRR Tolkien’s Lord of the Rings, appears dressed as Theresa May wearing a blue “power” jacket, grey wig, and painted nails. In a video shared by the actor entitled “Leaked: Footage from Inside No. 10 Downing Street,” Serkis’ May has a back and forth conversation as Gollum and his alter ego Smeagol. “No, it hurts the people – makes them poorer,” Smeagol replies. The clip was posted ahead of Tuesday’s delayed Brexit vote in the House of Commons, with lawmakers likely to reject the deal due to its close alignment with European Union laws and institutions.